Career Launcher is the preferred choice in Haldwani for aspirants of CAT, CLAT, BBA, IPM (IIM-Indore), Bank-PO, and SSC. Our courses are designed keeping in mind ease of understanding and enabling students to achieve success in various entrance and competitive exams. Since its inception in 2008, Career Launcher, Haldwani has built a reputation for success and reliability. Our team comprises faculty members from top-notch MBA and engineering institutions. We have successfully sent hundreds of students to IIMs and other top B-schools, as well as to the top national law schools in the country. Our outstanding results, year-on-year, are a true reflection of our excellence. Apart from classroom teaching, we also counsel students on their performance; and help them improve their study pattern, perfect an exam-taking strategy, and achieve high scores. I would like to thank CL Haldwani's LST program for my success. CL's guidance and LST program is one of the best for law preparation and it has been instrumental in my achievement. It is an indispensable tool for a good preparation for law entrance examinations. I have got my admission in IIM Rohtak. I owe my success to my teachers at Career Launcher. My dream was to pursue MBA for which I joined CL in 2016. I was an average student and my concepts were not clear. The teachers here helped clear my concepts and the test series and the online study material helped me prepare for the exam. Initially when I gave mocks I didn't get good results but with the constant motivation and hard work I started excelling in my mock tests. Thanks to Deekshit sir and Nishant sir whose constant support, motivation and guidance helped me to clear my interview at one of the most prestigious B-school's of the country. The constant support and motivation of my teachers and my parents and my hard work helped me to achieve my dream. Deekshit Mishra has spent a decade in CAT and aptitude training.He has done B.Tech in Mechanical Engineering from Pantnagar university. He has scored more than 99%ile in Quants & LRDI sections of CAT many times and has obtained calls from various IIMs, XLRI & other top B-schools. Mr. Anil Kr. 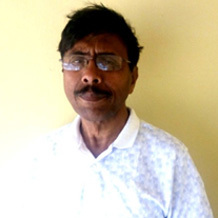 Karnatak has worked with Bank of Baroda for around 25 years in various seniors positions. After taking VRS from BOB, Mr. Karnatak is actively involved in aptitude training since 2011. 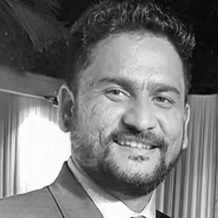 Karan Gangola is an alumnus of DU & IBS Hyderabad (2014). He have previously worked with organizations like Michael Page and Validor Capital in consulting roles. He has scored 99+% tiles in CAT (Verbal Ability and Reading Comprehension Section) many times. 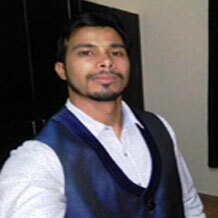 Virendra bora is a B.tech in electrical engg. from COER Roorkee.He is having more than 5 year experience in aptitude training.Virendra is famous among students for his caring attitude and giving lot of personal attention to students. 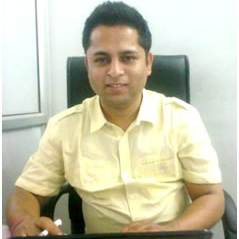 Amit has done his hotel Management from IHM Pusa. He takes care of GS/GK. Amit has great command over G.S. Prajot is a B/Tech in food technology from G.B. Pant Agriculture University. 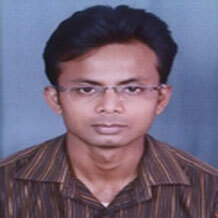 He is having more than 3 year experience in food industry. 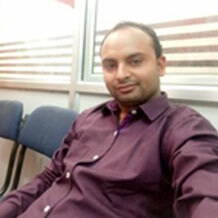 He have received calls from many IIMs and also clearing bank exams. He takes care of Quant and Reasoning.